The drawn on abs are a nice touch amirite? does he have a stuffed bear crammed into his jock? @elzarcothepale: Nope, it’s the real deal. That’s why he has the cojones to do this. he should have drawn himself a cleaner room. @elzarcothepale: Does anyone know a good shoop artist, here,on M[c]S? 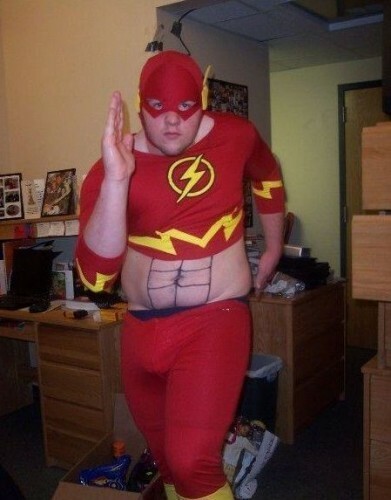 He can run really really fast…..but only to the kitchen! I keep my spare change in a ceramic shoe. Let the one upping commence! Wow, my ultimate role playing fantasy. I am a size queen too. Big boys need lots of love. @nyokki: if i had the time. @elzarcothepale: I keep my spare babies in Nadaya.